Taylor Swift – The ‘godmother’ of pop? Should the Pirates get 10 Years, or just walk the Plank? 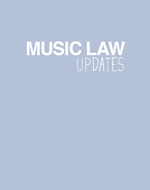 Prince and the Toddler – a universal case of forgotten fair use?